There are certain passages of scripture that we all know so very well. Verses that we all have memorized, or at least have a good idea about they say. John 3:16, for instance, is a verse that most all of us know pretty well. That’s a verse that is close to many of us, a verse that has been a rock of help and support in difficult times. 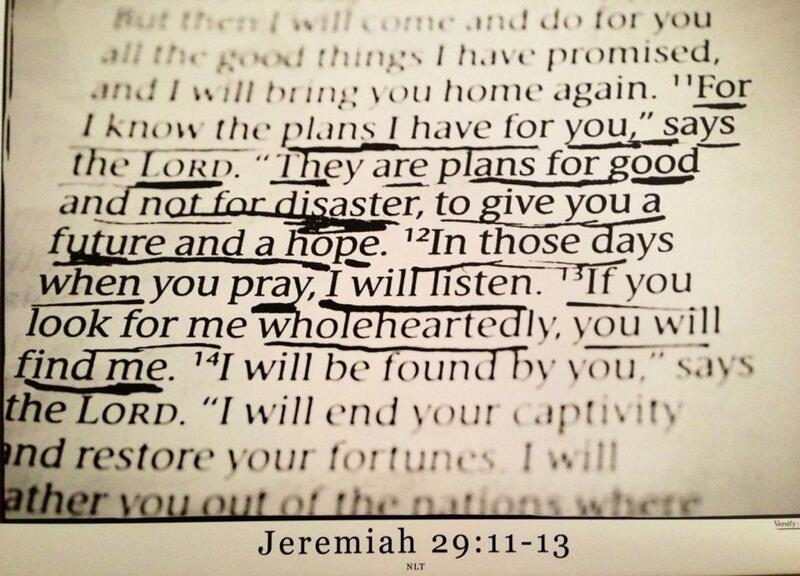 God has a plan for us, a good plan, a plan that will be for our benefit and for our good. I love verses like that. Verses that give hope and peace. Verses that we can hold onto. Then you will call upon me and come and pray to me, and I will hear you. You will seek me and find me, when you seek me with all your heart. I will be found by you, declares the Lord, and I will restore your fortunes and gather you from all the nations and all the places where I have driven you, declares the Lord, and I will bring you back to the place from which I sent you into exile. In 11 God talks about a hope and a future for us. But look what it says in these. When you seek me with all of your heart, you will find me. I will be found by you. God will be found today, by you. Are you looking for Him? For hope? For peace? For life? Are you really looking for what counts? Are you broken, discouraged, or doubtful? Today, are you looking for God? Hear His promise. You will find Him. You will. He has promised us that. Today, He has promised us a hope and a future. And has promised something even better. If we search for Him, we will find Him. We will. Seek Him today. And you will find what you are looking for.